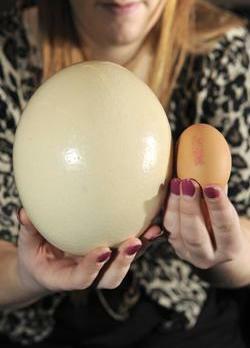 A Clarence Court Ostrich egg compared to a medium-size chicken egg. Photo: Tim Ireland/PA. ayaw na lang mog apil-apil kay wa moy chance ana.